As a writer I always worry that what I write isn't good enough or liked by anyone. It can feel like a black cloud hovering over my head sometimes, and be very hard to get rid of. That crisis of conscience can hit when times are hard, and often leave you with writer's block. Not really knowing what your next move should be. We live in a world where big things are expected from us all of the time, which is a lot to handle when you're trying to live your life as well. Sometimes all it takes is to step back and drop down a gear, put things into perspective, and not panic. Sounds so simple I know. Often the simplest things can be the hardest things to do because we think we're just going to fail if we try. Gone are the days when you had writing aspirations, you're a writer, so deal with it! Quit worrying about doing it wrong all of the time! You make mistakes learn from them. There are no set rules or instructions to follow, you've just go to sit down and do it come what may. A really good writer knows when he/she needs to make improvement. A bad writer will carry on doing the same mistakes over and over again. When you started writing you were doing it because you loved it so much. Give yourself plenty of time to write and think, this will take the pressure off when life gets in the way. Create your own writing routine, seek out the best time during the day that you feel fresh enough to write then make it a habit. Write everyday if you can. Writing is a skill that needs to be nurtured and grown. Stop worrying if you think you're not talented enough. Having a good support network around you makes all the difference. Are you tired of seeing other writer's get book deals and feel like you're left out in the cold? These feelings do nothing but hold you back, get rid of them and move on. Make improvements if they need to be made. Don't let that kind of frustration hold you back. Negative compliments can weigh you down. Take note of all of the positive reviews and comments you have and keep them as a permanent record. Don't be swayed by negative words. As hard as it is to believe criticism is just someone else's opinion and something you can actually learn from. You need to toughen up and keep going. Over time you'll get better at handling the negativity that comes your way.. 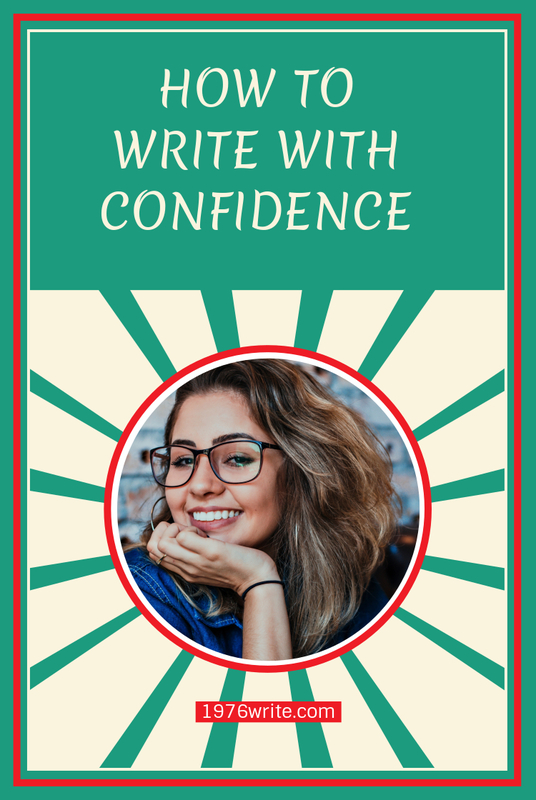 There's nothing wrong in wanting to be more confident with your writing and learning some new skills along the way. Try reading more and find out what other writers have to say. Carry a notebook around with you and write down the ideas that come into your head straight away. You can go through each idea with a fresh set of eyes when you're ready to write them down. If you can't think of information to support your article, wait a few days. Let your article idea slowly fester. Anything that comes into your mind, write it down . You'll have all the information you need when the time comes to write your article out. If you're over run with ideas at the beginning, take action and write down the good stuff. Simplify your article with numbers or bullet points. You don't need to shift from one idea to the next. Lists are easier on the eye so they'll benefit your reader. Never force your words out. Put it it to one side and concentrate on something else. You can even go between blog posts, and "kill two birds with one stone". This will save you loads of time. If you have a list of ideas and you think you should save the best till last, don't! All of your information is fresh in your mind making your articles easier to write. Start on the articles you know are the easiest to write and work your way down your list.